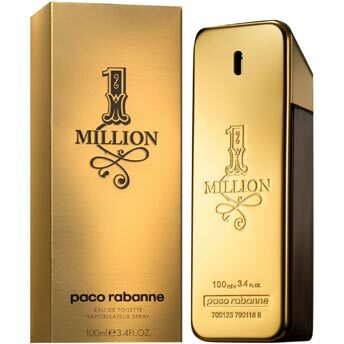 Hard to categorize, 1 Million is a singular scent blending fresh notes, waves of aromatic herbs and spices and a juicy, fruity sensation, as well as notes of flowers, warm woods and a soft, leathery signature. Designed by: Christophe Raynaud, Olivier Pescheux and Michel Girard, Givaudan. THE BOTTLE: An unusual gold-bar-shaped bottle designed by No Duchaufour-Lawrance.